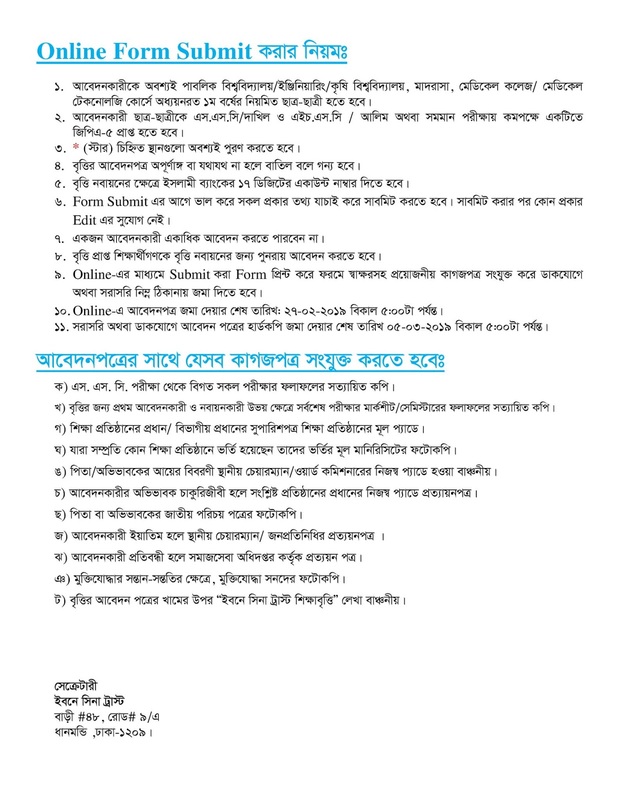 Apply Online IBN Sina Trust Scholarship 2019. Last date 27 February, 2019. Direct hardcopy application last date 05 March, 2019. 1. Applicants should be a First year student (Engineering/ Medical/ Madrasah/ Public University/ Medical Technology Courses). 2. Current IBN Sina Scholarship holders should apply again. 3. 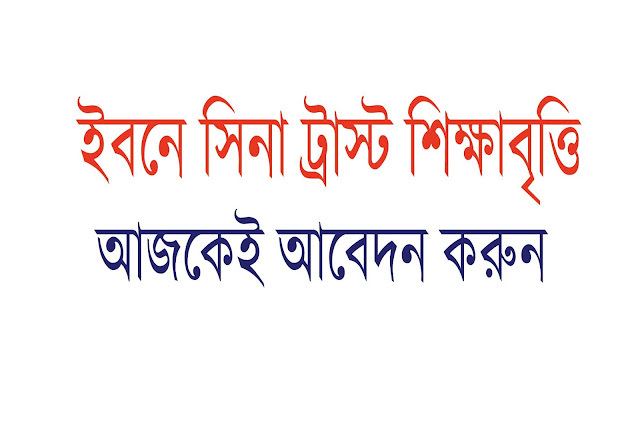 Minimum SSC/Dakhil and HSC/Alim result should be 5.00 (One result - SSC/HSC). How to apply IBN SINA trust scholarship online? 1. Fill up the above application form correctly. Then submit. One student can apply only once. No chance to edit any information. 2. For renewal of the scholarship, you have to provide 17 digit Islami bank account number. 3. After completing online application, print the form and signature it and send it to the following address. Dhanmondi, Dhaka - 1209 . 4. For more details information please view the following image.